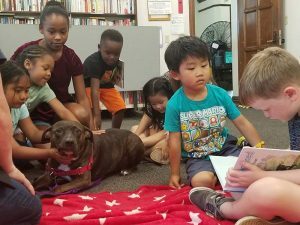 Paws for Life K9 Rescue's free children's literacy program, Reading Isn't Ruff, helps children build confidence in reading by practicing with a four legged friend!  Paws for Life furry listeners are certified Canine Good Citizens or therapy dogs that attend our events with their handlers. 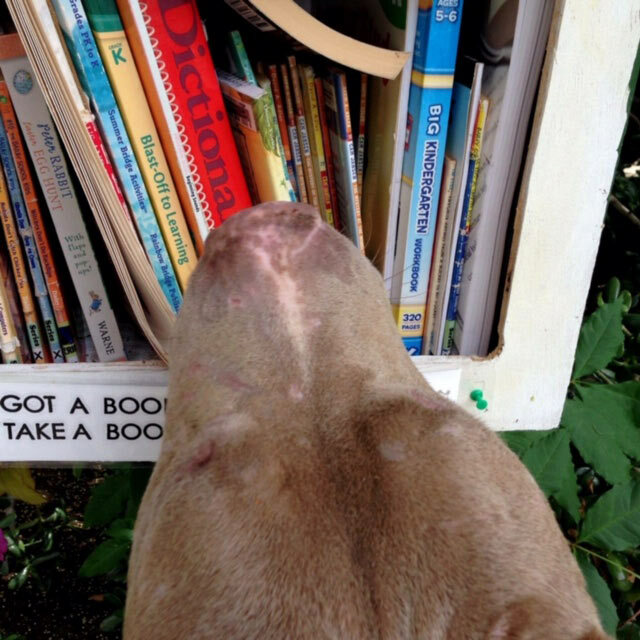 All children are welcome to attend at their local libraries that participate in our Reading Isn't Ruff Program, so bring your favorite book to share or check out what the librarians have suggested for the day. If you are a pre-reader, no problem! Paws for Life provides reading buddies to support you and sight word flash cards to help you become a reader in no time! "We feel so lucky to have Paws for Life K-9 Rescue at our branch! The children in the area love dogs, and there are so many kids who make a special point to only come to this program. They absolutely love interacting with the dogs, so they don't even mind or notice that they're practicing their reading skills! I've had parents tell me that getting their kids to read books is like pulling teeth, but they actually look forward to reading with Coco and the other dogs." 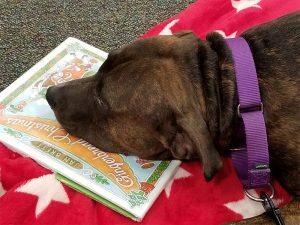 Reading aloud to a non-judgmental canine ambassador creates a positive experience for readers of all levels, and reading skills can improve up to 2 grade levels by reading just 10-15 minutes a week to a dog over time. 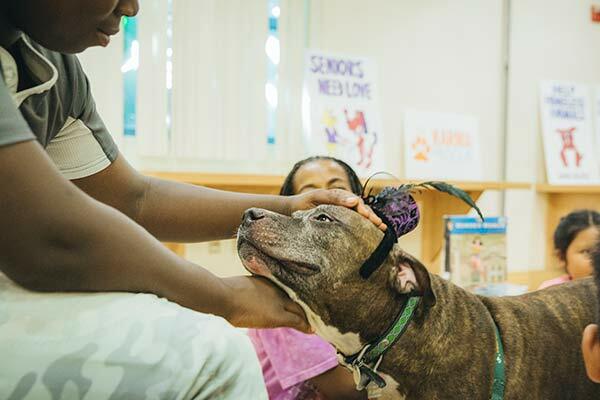 Our program also provides humane educational outreach to reinforce the importance of spay/neuter and adopting versus shopping as an effective means to help control animal overpopulation. Please check the calendar and join us at the libraries below for Reading Isn't Ruff! 2906 South La Brea Ave.